LBX: Little Battlers eXperience. Just like the popular anime and toy line, LBX: Little Battlers eXperience lets players build, customize and battle robots using more than 130 models and more than 4,000 in-game parts. 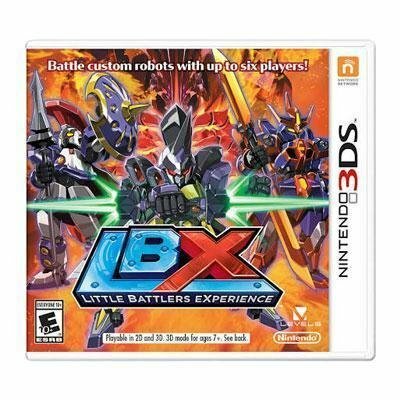 Just like the popular anime and toy line, LBX: Little Battlers eXperience lets players build, customize and battle robots using more than 130 models and more than 4,000 in-game parts.